A Wardrobe Staple during the Cooler Seasons! The KEY Marble Road Flannel Shirt is sure to be a wardrobe staple during the cooler seasons! 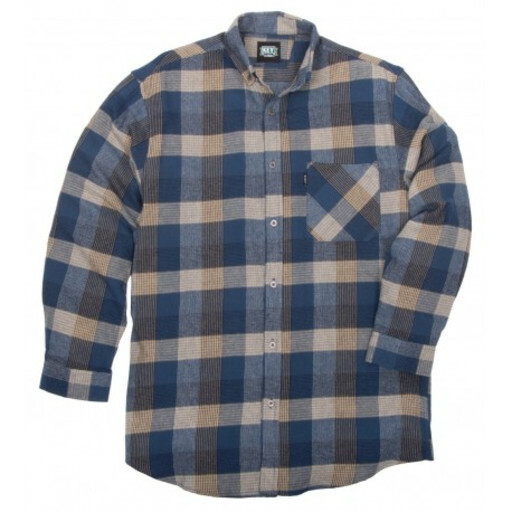 Find superior softness from the 100% Yarn Dyed Cotton, while providing warmth and comfort that flannel is famous for. The casual style from the single pocket, button down collar and hemmed bottom allows versatility to wear this shirt tucked in or layered with a thermal or tee. Since it is sure to be a favorite, this shirt has been built to last and increase softness with every wash. When you want quality and comfort on your sleeve, wear KEY!